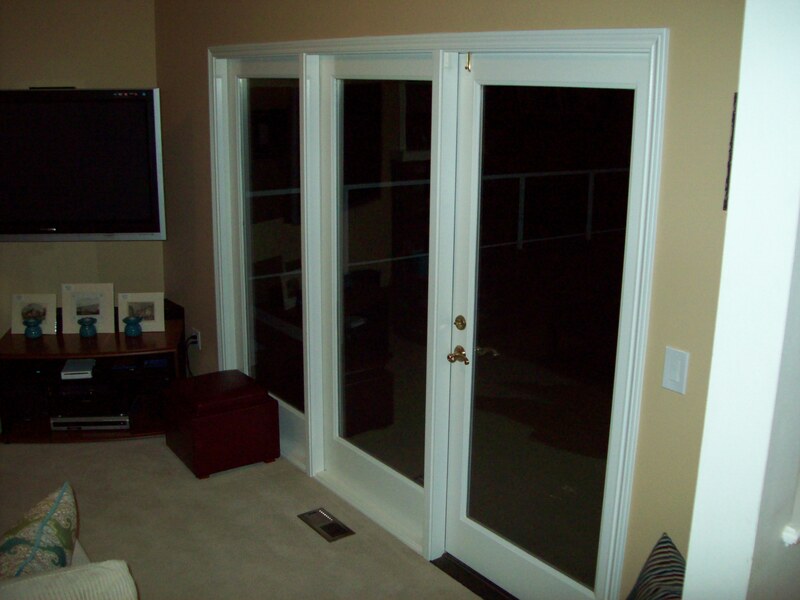 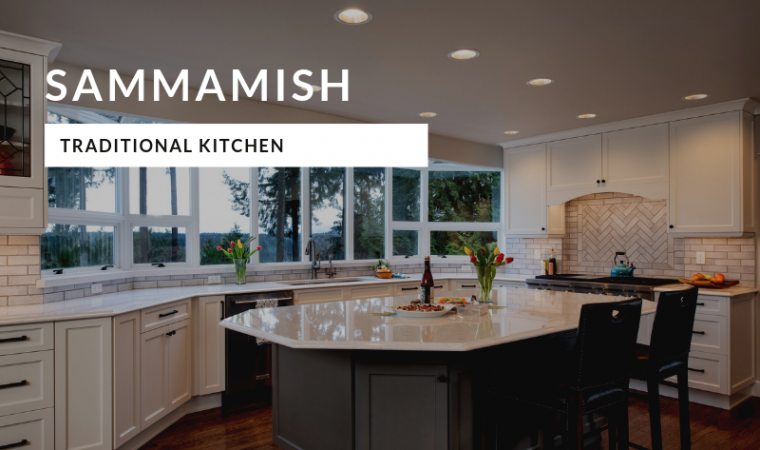 Sammamish couple, Tammy & Matt, had a lovely home that fit their family. 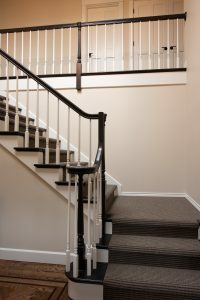 They had quality schools and neighbors they liked, along with a large lot with a sport court that backed up to a green belt and a view to the valley below. When they called us, they wanted to update the aesthetics and layout of their kitchen, increase the moldings in their home, add a mantel to a fireplace, redo the wet bar and update the stairs. 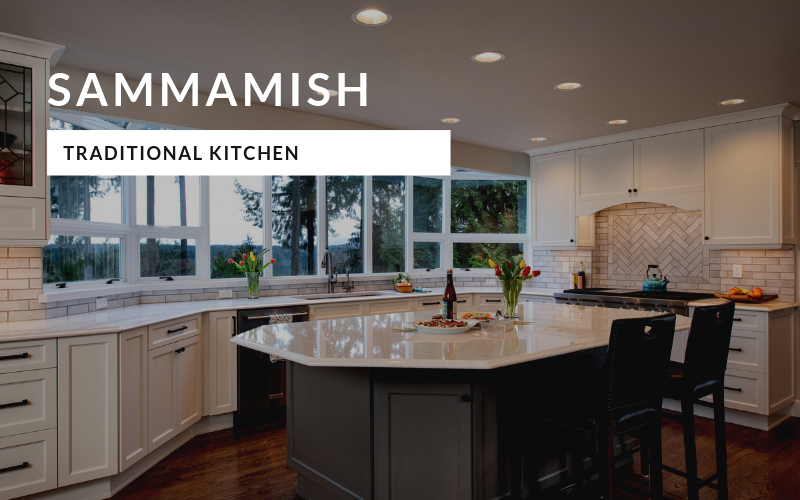 While this family’s kitchen was attractive, it wasn’t indicative of Tammy’s current style, and they desired something more consistent with their aesthetic preferences and lifestyle. 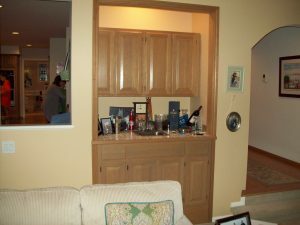 They needed a dedicated space for their gluten sensitive daughter to keep and prepare her safe foods. 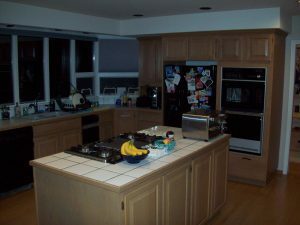 While a large kitchen, the layout made cooking a workout as the refrigerator was much further away from the sink and stove area. 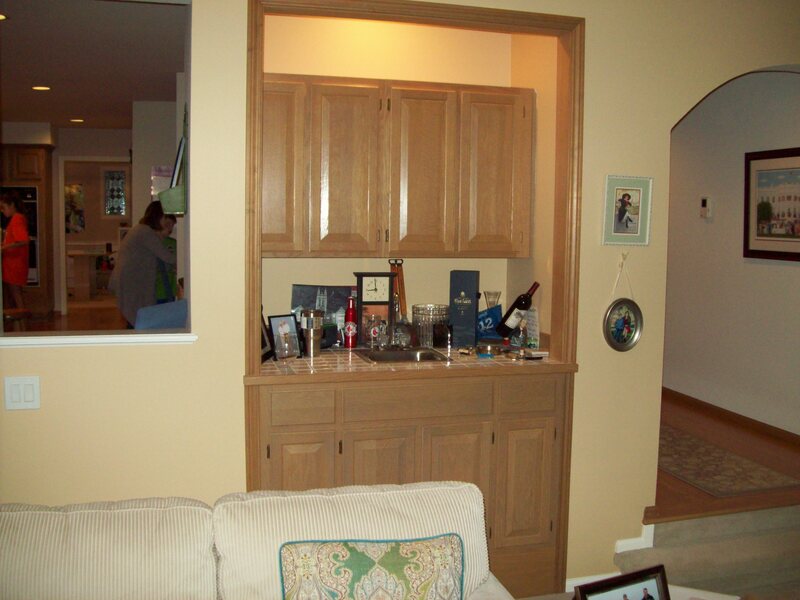 There was a pantry closet that used a lot of space but wasn’t necessary with their lifestyle. 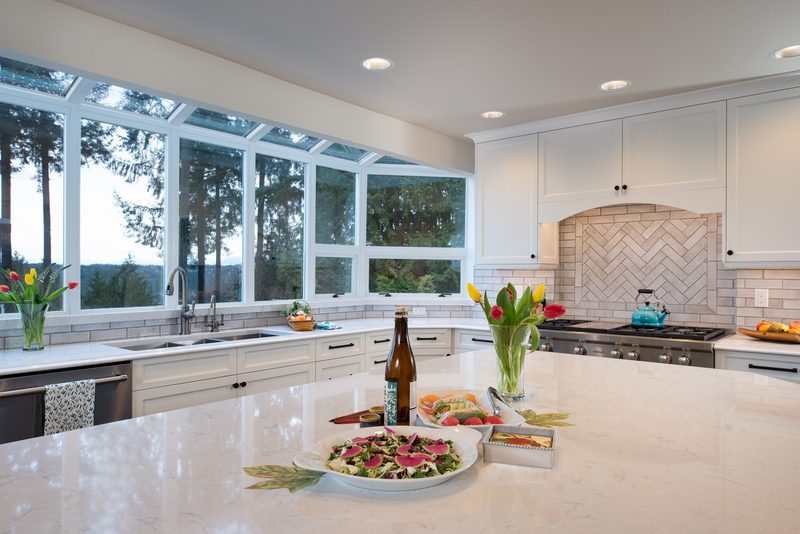 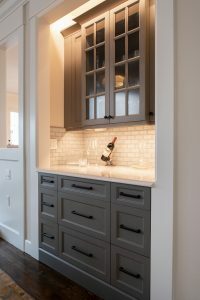 Their new kitchen features a solid surface Swanbridge Cambria countertop, amid white maple cabinets in a shaker style for the perimeter, while the island cabinets were painted a Graphite gray. 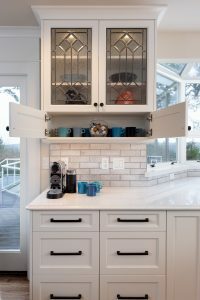 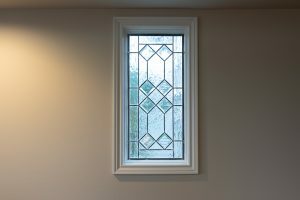 One perimeter cabinet featured stained glass to coordinate with an existing stained glass window in an adjacent room, along with a small narrow cabinet to house coffee mugs and accoutrements. A small countertop and pull-out pantry serve as a dedicated space for their gluten-free daughter, giving her an uncontaminated location for her food items and prep. 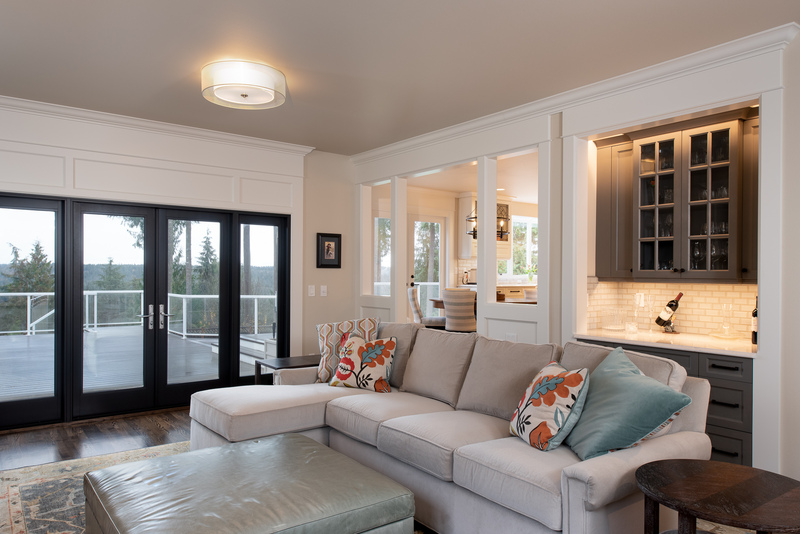 In the adjacent family room, we added mouldings to the doors, windows, and passthrough, that was consistent with the kitchen cabinetry. 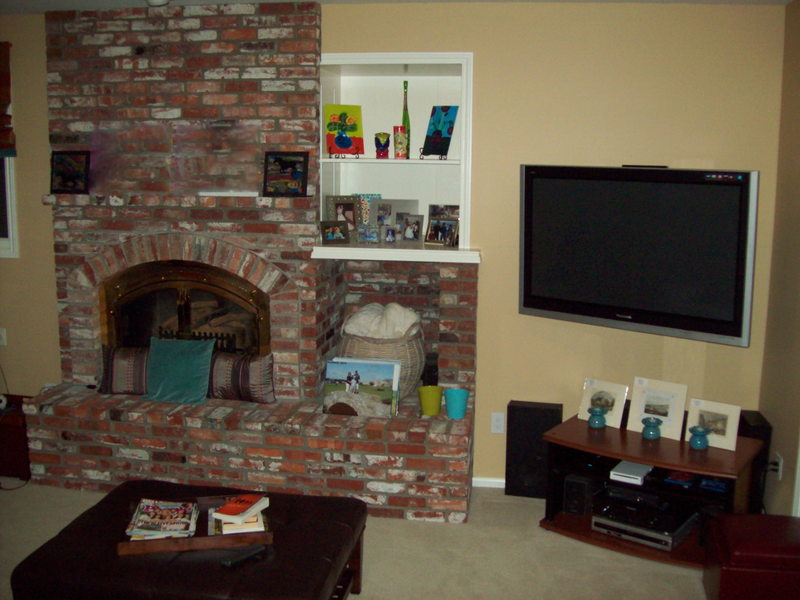 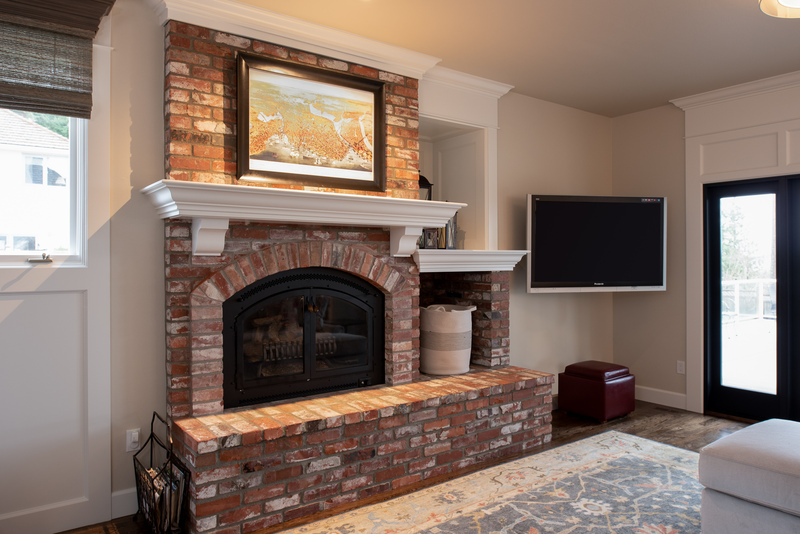 The brick fireplace received a mantle in the same look, which made the cozy space a little more refined. The room, previously with an oak bar and tile countertop, has been updated to include a much more sophisticated look using the cabinet style and island color from the kitchen and features their favorite glassware. 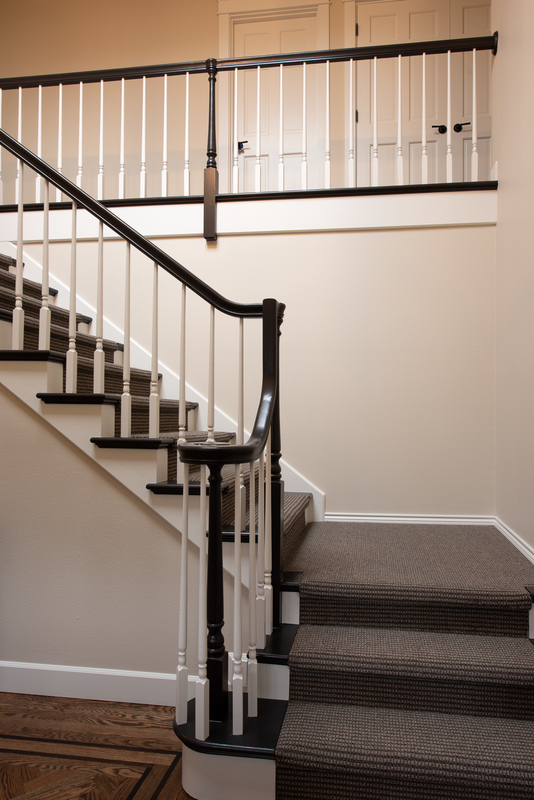 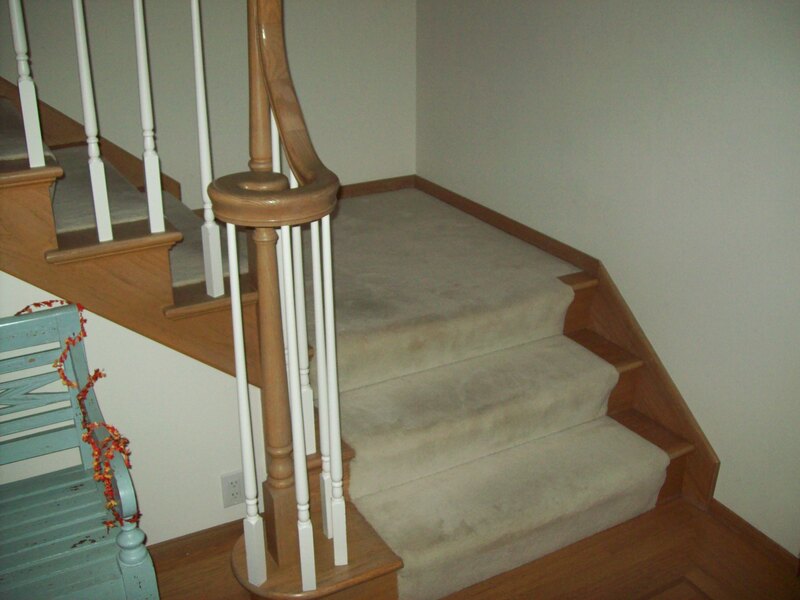 Finally, a darker stain was added to the stairway to match the existing oak flooring and the stairway and upstairs hallway recarpeted with an Abbey’s Road Stylish Grey by Anderson Tuftex, perfect for high-traffic areas and pets. 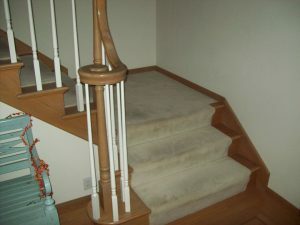 The bedrooms were recarpeted with a Sandy Hollow carpet in a London Fog color from Shaw Carpets. 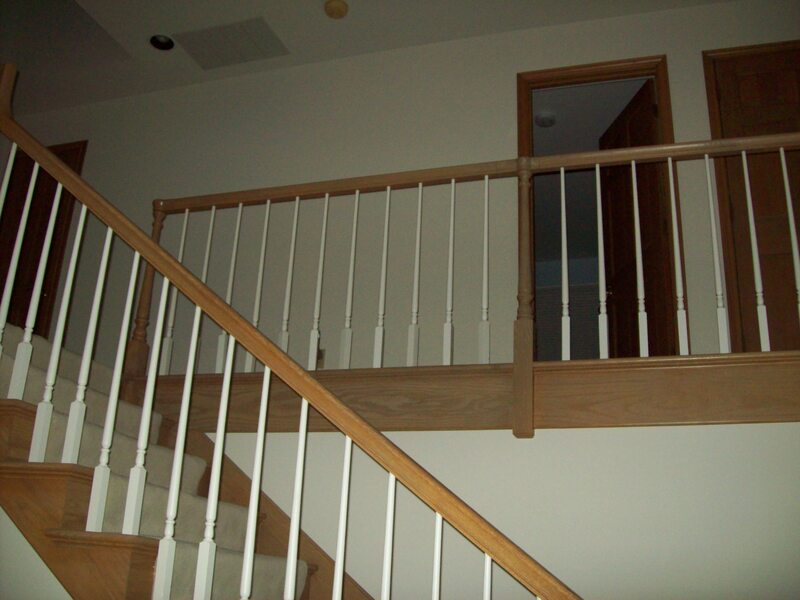 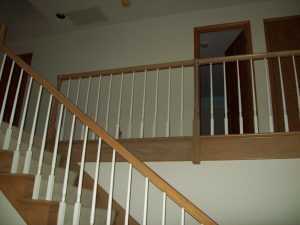 See more photos from this couples home on our projects page.